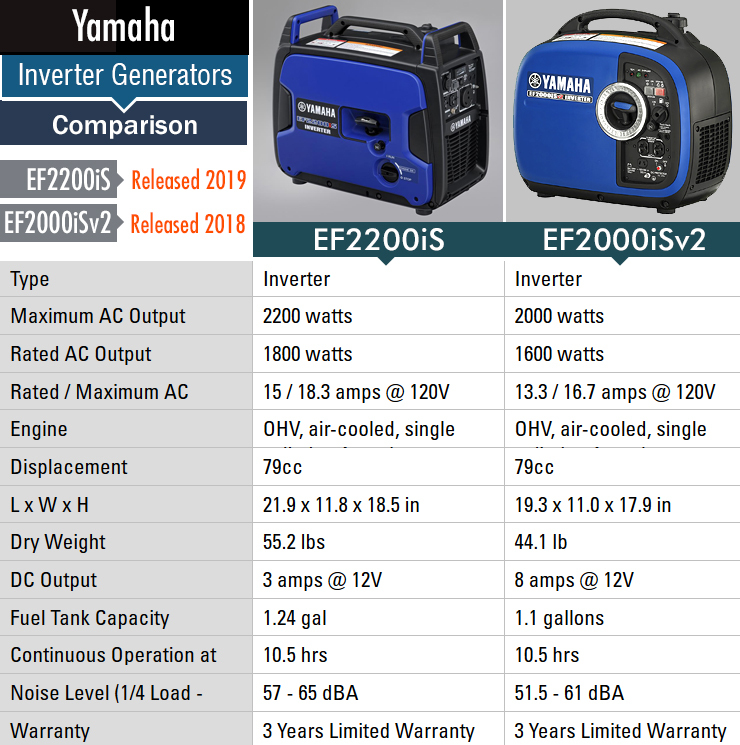 But we’re not here to talk about cars or smartphones, so let’s get started and dissect the facts about the Yamaha EF2000iSv2, a constantly evolving inverter generator, that was actually updated in 2017, which is what the “V2” represents — and in March 2018 Yamaha announced a major price drop for it, making it an even better buy than before. I watched a YouTube video of a customer complaining about his new Yamaha ef2000isv2 being unable to power an 1800 Watt hairdryer. I realized that he assumes by the name that the generator delivers 2000 running Watts. The Yamaha only delivers 1600 Watts running power. So, with a constant load of 2000W it will trip the overload. Many potential buyers can fall into the same trap. Generator manufacturers do not use the same naming conventions. Some generator names will include the starting power as a number while others use the running power. The phrases used may also differ, Starting Watts can be called startup, inrush or surge current/ Watts. Running power or Watts can be called the rated or continuous Watts. Read our full review of the Yamaha EF2200iS (released Spring 2019). This confuses many people, especially when you are new to the field. You can easily end up making a mistake when ordering a generator. If you receive an under-powered model, you will have to grit your teeth and use it or return it as faulty. This would be an unfortunate mistake because it is not faulty. Then, you’ll have to negotiate a refund and could even lose money when trading it in on a bigger unit. What Can a 2000W Generator Run? This depends on the generator; not all 2000W generators deliver the same power. Because some manufacturers use the startup power in their name and others not, you must determine both values. You have to read the reviews and specification sheets. As an example, the Yamaha ef2000isv2 delivers 1600 Watts continuous or running power. The All Power America 2000 Starting Watts generator delivers 1400 Running Watts. For our example of what a 2000W generator can run we will use the Yamaha ef2000isv2. It provides 2000 starting Watts and 1600 running Watts. So, the Yamaha will sustain a maximum starting current of 16.7 Amps for a few seconds. After that, the current must drop to 13.3 Amps. These are maximum values, and we cannot load the generator fully. It is only possible if we use only one device that does not exceed its startup ability. The little Yamaha ef2000isv2will run lighting, heaters, TVs and all devices that have a small startup current to a total of 2000 Watts. 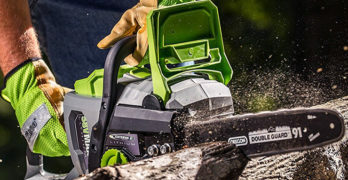 Devices like a hammer drill, grinder and equipment that use a small motor will require more startup current. A refrigerator may only require 300 running watts but needs 2200 watts for a few seconds to start. I looked at an 18,000 BTU air conditioner that consumes 1900 Watts running and 2500 Watts startup power. Clearly, the Yamaha ef2000isv2 generator cannot power the refrigerator or the air conditioner. I have lots of tools in my workshop, and none of them have running and starting watts indicated, only a nominal wattage. Similarly, all the tools show a running current, but none mention the startup current. This makes it difficult to determine if they will work using the 2000 Watt Yamaha generator. 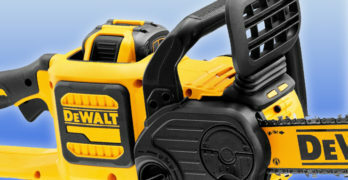 Fortunately, a solution to the problem exists; most power tools will consume three times more power when starting up. To calculate this correctly you multiply the amperage showed on the tool by three. Remember that tools/appliances that run on timers or pressure/heat sensors will cycle on unexpectedly. Add together the amperage for all the equipment you’re likely to start at the same time. Now convert that to Watts, and you have the maximum wattage requirement for your generator. VIDEO | What Size Generator Do You Need? Another option is to use a wattage calculator, like the ones offered by Yamaha or Honda. Unfortunately, I have a problem with that approach. When you compare wattage tables, you will find many anomalies, and I’m never convinced that I’ve found an accurate table. My best advice is to buy an Amp meter that can be “triggered” by the inrush current and use it to do your own measurements. Bigger motors used on lawn mowers and air conditioners draw a lot of current and need up to four times more during startup. My lawn mower uses 1800 Watts and starts up with 2800 Watts. 2000Watt generators will not support all the power tools I use. Therefore I would prefer to use a larger generator. It means you must do your homework when you purchase a small generator in order to be sure it will cover your needs. The Yamaha ef2000isv2 and other 2000 Watt generators are fantastic portable power sources for camping, tailgating, entertainment, and outdoor lighting. 1600 Running Watts / 2000 Starting Watts. An exceptional professional-grade 2000 watt generator that has proven itself to be highly efficient and reliable among consumers from year-to-year. The incremental improvements and lower price point ensure this is one of the best inverter generators for the money. It’s not the cheapest, but you get a high-quality inverter generator engineered with components that are built to last — It’s also one of the quietest generators you can buy (51.5 dB (25% load) to 61 dB (100% load). As clean as or cleaner than public utilities power. How is the new & improved Yamaha EF2000iSv2 different than the EF2000iS? Only 44.1 lbs. — Lightweight and easy to carry around. 10.5 hours of continuous operation at ¼ Rated Load. Twin Tech (Parallel generator operation) – Run in parallel to deliver up to 30 amps. Parallel generator operation – The EF2000iSv2 may be connected in parallel with an earlier model Yamaha EF2000iS. Gasoline petcock lets you shut off the gas to run the carburetor dry for storage and helps prevent stale gas problems. Easy to understand and read fuel gauge so you know when the fuel is low. Voltage stability is within ± 1%, and frequency stability is ± 0.1 HZ. Produces energy as clean as or cleaner than public utilities power. Oil Watch Warning system — Prevents engine damage caused by low oil. It will ensure you never have to worry about your oil level, because if it’s low, it will simply shut-off the generator. Auto-decompression system lowers compression, making it easy to start. Centralized controls keeps everything at the tip of your fingers. The Yamaha ef2000isv2 is quiet. Noise levels are 51.5 to 61 dBA, measured at 22 feet with the economy switch in the “On” position. This is the same level as a normal conversation. Therefore, at 22 feet away, it will only interfere slightly with a normal conversation. The Honda The EU2200i operates at 48 to 57 dBA, and the Honda EB2000IT1A, 53 to 59 dBA. The Yamaha compares well with the two Honda’s, all of them are pleasantly quiet. Another advantage of inverter generators is the ability to deliver clean power. The 60Hz signal is even cleaner than the utility power and more stable. These smaller inverter generators normally only offer 120V outlets and sometimes 12V DC. The Yamaha is no exception, its 120-Volt output is via two NEMA 5-20 receptacles. The output is electronically limited to 13.3 Amps (1596 Watts). The outlets are not GFCI protected, and that is an unfortunate oversight on a quality product like the Yamaha. The EF2000isV2 is a redesigned version of the previous EF2000 (is) which allows maximum current for 20 seconds before the overload circuit trips. The ef2000isv2 has an updated controller board that allows maximum current output for longer before overloading. According to some websites, the EF2000isV2 will run for up to 13 minutes before the overload circuit trips. It may be a misprint, possibly the timer setting is 1.3 minutes. It will allow the generator to power more devices that require large startup currents. The Yamaha inverter module uses a Pulse Width Modulation Signal Generator. This produces the output voltage sine wave. The output frequency is completely independent of the input frequency supplied by the alternator module. It will deliver the same 60Hz signal, regardless of the load on the inverter. This feature makes the Yamaha perfect for use with sensitive equipment like computers and all appliances with micro-controllers. VIDEO | Yamaha Inverter vs Conventional Generator? The interface on the Yamaha ef2000isv2 has three indicators at the top end of the panel. They include a low oil level warning, an AC power pilot light, and an overload indicator light. When the oil level on the Yamaha falls below its lower level, the indicator lights up and the engine stops. It will also flicker a few times when you try to start the engine with a low oil level. The overload protector trips when the generator overloads, overheats, or when the output voltage rises. The green indicator also turns off and a red one lights up. This protects the generator and your valuable equipment from damage. The overload indicator also momentarily indicates when a high startup current is detected. Next, to the “on/off” switch on the control panel, you will find an economy switch. Turning the economy switch to “on” enables the economy control unit manage the engine speed. It is possible to vary engine speeds because the engine speed does not influence the output frequency of an inverter generator. Therefore, low engine speeds are used during low electrical consumption and the speed increases with the load. The advantage is that the fuel consumption is improved and average noise levels reduced. The Yamaha has an engine On/Stop switch and a fuel petcock that closes the fuel flow to the carburetor. It may seem like unnecessary clutter, but it lets you stop fuel flow while the engine is still running to run the carburetor dry, making it easy to prepare for storage. Imagine all the work you’d have to do if you didn’t have that petcock feature. Sometimes it’s the little things you don’t think about that makes you appreciate all of the subtle features that Yamaha engineers into their generators. You use a manual choke mounted on the interface panel, and two parallel running terminal outlets are situated just below it. This used to connect special cables between two ef2000is generators to combine their power output. The rated output in parallel mode is 3000 Watts and 25 Amps. The Yamaha has a convenient carry handle, and the fuel filler is to the one end of it. An air vent knob on the gas cap is handy, preventing fuel spills during transport. You can check the fuel level with a gauge mounted next to the filler. The fuel tank capacity is 1.11 gallons. The overall look of the generator is neat and functional, and the recoil starter works well. An auto-decompression system on the engine reduces compression which makes pulling the cord a lot easier. The 12VDC output that’s used to charge 12-Volt batteries has a capacity of up to 40 Ah. You use a special cable that fits the plug mounted on the generator. The cable ships with the generator and an overload switch with indicators protect the 8 Amp output. No fuel consumption meter or runtime meter is available. The runtime on this Yamaha EF2000isV2, according to the manufacturer, is 4.2 hours at its rated output. That gives it 6.02 kilowatt-hours per gallon fuel consumption, a good figure and is well above average. At 25% of its output, the runtime is 10.5 hours. This is the figure widely used on websites. This figure creates an anomaly because the fuel consumption calculates to 3.78 kilowatt-hours per gallon, far below average. 1800W Running / 2200W Starting — Whisper Quiet Portable Inverter Generator. This review was written before we were aware of the recall, so, for now, I would ignore the Honda EU2200i until the problem is fixed. Learn more by reading our dedicated article on the recall. As an alternative, we highly recommend the new 2200W Yamaha EF2200iS — a 2200 watt inverter generator released in 2019. This is an excellent generator that is on par with the now recalled (and unavailable) Honda EU2200i. Get more recall details by visiting our original review of the EU2200i. Currently unavailable on Amazon due to the recall. ✓ You can view or download the full press release from Honda as to how the EU2200i has been improved and refined from the older Honda EU2000i model. The Honda EU2200i, with its 1800 Running Watts and 2200 Starting Watts is more powerful than the Yamaha. Its fuel consumption works out to 6.06 kilowatt-hours per gallon on its given runtime of 8.1 hours on 0.95 gallons. The EU2200i is a new improved design of the classic Honda EU2000i. The engine switch has been changed, it’s different to the Yamaha, but it offers the same functionality. The Honda engine switch has one knob with three positions. The off position closes the fuel valve and stops the engine. The fuel off position closes the fuel but lets the engine run to clear out the carburetor. In the run position, it opens the fuel valve and lets the engine start and run normally. Another welcome change to the Honda EU2200i is a large spout and oil drain gutter. It is now easier to make cleaner oil changes with no spills. The low oil cut-out protects the engine from running with too little oil. An indicator on the control panel will also light up to assist you in finding out why the generator has stopped. Like the Yamaha, the Honda has a four-stroke engine with a mechanical valve that reduces the compression. When starting the engine, it ensures a smooth, light effort recoil action. The ventilation was increased to improve airflow, providing better cooling to the engine and the generator. Honda did not compromise on noise damping in doing so. For a 2200 Watt generator, it is remarkably quiet. The measured noise levels of the Honda is 57 dBA at its rated load, and 48 dBA at 25% load. The EU2200i is quieter than its rivals in the review. Operates at 48 to 57 dB — less noise than a normal conversation. Because the DC charging output is not regulated, it can only be used to charge 12-volt automotive type batteries. The charging output does not decrease to protect the battery as it reaches full charge and it can overcharge the battery. Therefore, it should be checked frequently to prevent that. 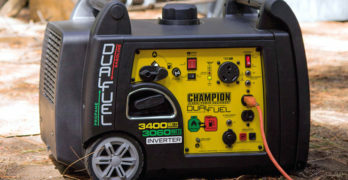 The generator has a ground terminal connected to the frame of the generator. It’s also connected the metal non-current-carrying parts of the generator, and the ground terminals of each receptacle. Do not change this, it makes the generator safe when connected to a ground spike. Because of its advanced inverter technology, the generator delivers clean power. It’s safe for use with devices like a TV, DVD, satellite, refrigerator, coffee maker, and more. Remember, more and more equipment are computer controlled. All devices with soft-touch buttons and electronic displays fall into this category. These devices are sensitive to conventional generator interference’s and should only be powered by inverter generators. Get up to 4400 watts of power with a 2nd ‘companion’ unit. At 2200 startup watts, the generator delivers 18.3 Amps. At the 1800 running wattage, it is 15 Amps. A Honda GXR120 Commercial Series engine powers the EU2200i. The engine’s size directly correlates to how much power it can produce. Therefore the 121cc GXR120 is powerful enough to get the job done. It was originally developed for heavy duty construction equipment, and it has become well known for its durability and reliability. The Honda EU2200i weighs less than 47 pounds. It’s lightweight and portable due to its inverter technology and is easy to transport and store. Truth be told, this is an exceptional generator that just keeps getting better whenever the Honda engineers put their heads together and figure out how to tweak the design, as they did in Spring of 2018 (read press release), and now it’s even more efficient. If you’re interested in learning even more, then hop over to our comprehensive review of the Honda EU2200i. Honda has a major following as does Yamaha, and perhaps the passion you hold for one brand over another is rooted in which brand your parents loved the most when you were kid, or your first positive experience with using a generator, like when you went camping and your dad hauled out the Honda E300 in 1965 to plug in a lamp and a toaster. Honda invented the portable generator back in 1965. The things we love as we get older are so often rooted in the memories of our youth. Are you one of those who loves Honda and hates Yamaha, or vice versa? Either way, we discuss this classic debate later in the article. This is a true Industrial-Grade Inverter Generator. 1600 Running Watts / 2000 Starting Watts. GFCI protected Inverter Generator. Perfect for use on the jobsite. Honda GX100 engine, 98.5cc, Air-cooled 4-stroke OHC. 3-year residential and commercial warranty. The Honda EB2000i (or the EB2000IT1A), with its 1600 Running Watts and 2000 Starting Watts belongs to the EB range, designed for construction work. 120-Volt GFCI protected outlets are now required for exterior work sites to ensure OSHA Compliance. Therefore this industrial range generator is fitted with GFCI protection. I wholeheartedly support the use of GFCI protection because of its obvious safety advantages. However, a word of warning if you plan to connect the generator to the service panel at home to distribute power through circuit breakers. GFCI generators cannot be used for this purpose. All Service Panels have ground, and neutral bonded which causes GFCI generator outputs to trip. 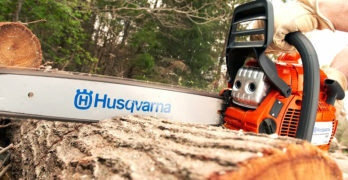 You can use the Honda EB2000IT1A only with a 12 or 10 Gauge 3 prong extension cord directly to the dedicated appliance. I noticed that rival manufacturers refer to the absence of a fuel shutoff cog on the Honda as a negative. They state that you cannot drain the carburetor to prevent stale fuel problems. I found that hard to believe, so I checked the user’s manual of the Honda. The EB2000IT1A uses a drain valve at the bottom of the fuel bowl with a tube to let the fuel out the bottom of the generator. You can use it to empty the fuel system, and it’s superior to running the carburetor dry because it does not strain the engine. A Honda GX100 industrial engine with a displacement of 98.5cc powers the Honda EB2000IT1A. It is a four-stroke, single cylinder engine with an overhead camshaft. It also conforms to the Canadian, U.S. and California emissions regulations. Due to the excellent performance history of the Honda engine, the warranty covers the generator for three years. Honda engines use forced air cooling and a fully transistorized ignition system. The capacity of the fuel tank is 0.95 US gallons and the runtime at full power is 4 hours for the rated load of 1600 Watt. Its fuel efficiency is therefore 6.74 kilowatt-hours per gallon. The runtime on 25% of the rated load is 9.6 hours. The fuel consumption of the Honda is slightly better than the equally sized Yamaha ef2000isv2. That 9.6 hours runtime means you can power an entertainment center and a laptop computer for a full workday. The only output connection on the Honda EB2000IT1A is a dual GFCI outlet. On the neatly grouped interface panel, three indicators show generator power output, low oil conditions and overload. The “Eco throttle” switch controls the economy mode. This lowers engine revolutions during low loads to reduce noise levels and possibly reduce fuel consumption. To estimate the fuel level, you have to stop the engine, open the fuel filler cap and peek inside. This is not the best solution and is probably something that no generator manufacturer should allow. The noise levels of the Honda are pleasantly low. At 22 feet away, the reading is 53 to 59 dBA. Slightly better than the Yamaha at full power but the Yamaha is quieter at lower power levels. The low noise levels make it ideal for camping, supplemental RV power, and any other activity that requires a quiet generator. Additionally, the clean voltage signal of the inverter is safe with the sensitive equipment used while camping or enjoying the great outdoors in an RV. Another advantage of these suitcase-style inverters is the light construction with clean lines and round corners that make them fully portable. Women report that they find it user-friendly, as well as being easy to start and carry around. Things that you will miss on the EB2000IT1A is a 12 Volt connection for charging batteries. There’s no fuel level indicator and no indication of runtime to maintain service records. The generator’s load is also not shown. The EB2000IT1A cannot be paralleled with any other generator because it is a commercial use generator. Both the Honda and the Yamaha generators have their origin in Japan. Honda has three joint-ventures in China, where they manufacture some of the components under rigid quality control measures. Honda generators are renowned for their quality build and outstanding performance. You can expect them to perform well and last a lifetime. Honda Motor Company, Ltd. is a Japanese public multinational conglomerate corporation. Its Headquarters are based in Minato, Tokyo, Japan and the founders are Soichiro Honda and Takeo Fujisawa. It’s considered to be the largest motorcycle manufacturer in the world, and is actively involved in manufacturing industrial robots. Yamaha is a Japanese multinational corporation and conglomerate with a very wide range of products and services. It is the largest shareholder in Yamaha Motor Company Limited which manufactures motorcycles, marine products, and other motorized products. Yamaha generators are legendary for their quality and durability. Yamaha also has partnerships with Chinese manufacturers that manufacture some components under the quality control of Yamaha. Honda offers more generator models than Yamaha. Though both companies deliver products of outstanding quality. Both brands have distinctive design features and a brand image. Honda’s are red, and Yamaha blue. Personally, I prefer the appearance of the Honda inverter to the Yamaha inverters. I don’t like the small wheels on the Yamaha, they look unsuitable for a quality product. Yamaha fans who use their marine products and motorcycles, will not think twice. For them, the choice is obvious. The same goes for Honda fans. The reason being that come to trust the product for its quality and excellent service. Even though you appreciate that the blue machine is as good as the red one, you will buy red if it is your preferred brand. Both manufacturers have built a huge following in the motorcycle world. Consumer reports always place the Japanese brands, Yamaha, Suzuki, Honda and Kawasaki, at the top of the most reliable brands ranking. The same is true for commercial engines and generators. Considering the admiration for their respective motorcycle brand names, it is small wonder that the generators were immediately accepted in the market. Brand names receive a different rating in countries around the world, but these two names became synonymous with quality and reliability around the world. I would recommend any of the products based on those grounds. To me, the difference is in the offering, how the models fit your needs, preferences, and budget. Honda uses a generator naming convention that divides their generators into four categories. The EM series generators are designed to work well with a transfer switch and have the round twist lock receptacles for that purpose. The EU series generators are quiet and easily portable, perfect for most recreational applications like RV, camping, tailgating, boating and such. The EB generators are designed for construction workers with GFCI protection to satisfy OSHA regulations. The EG series is the economy series, without luxuries like wheels. Yamaha naming conventions are different. All start with EF, followed by a number indicating the startup wattage. This is followed by “I” for inverter or “DE” for dual voltage. An “S” following the “i” indicates a silent model. How Does the Honda Generator Lineup compare to the Yamaha Series of Generators? Honda has 22 models in its lineup, starting from 900 Watts rated output. Yamaha offers 12 models and also start at 900 Watts rated output. 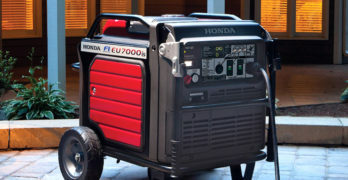 The biggest Yamaha is a generator with 9500 Watts, while Honda’s biggest has 9000 Watts rated power. The most prominent difference in their model offerings is that Honda offers six models with iAVR Output. The advantage being that the startup current is boosted for 10 seconds by the onboard battery, up to 2000 Watts more than the rated output. An example is the EB5000 with 4500 Watts rated output that provides 7,000 Watts startup power for 10 seconds. Another advantage is that the output voltage and frequency remain constant while providing this boost in power. The Yamaha Boost Technology (YBT) is offered on one model. Like the Honda, it also boosts output when needed by adding battery power to the alternator output. The Boost Control Unit (BCU) senses when extra power is needed and boosts output for up to 10 seconds. The advantage of this technology is the extra boost provided for air conditioners, power tools and other equipment to start quickly and efficiently. Yamaha has eight inverter models ranging from 900 to 5500 Watts rated power. Honda offers nine models ranging from 900 to 5500 Watts rated output. Another model from Yamaha that differs from the rest, is the EF4500iSE. It has 4000 watts rated power, and is an efficiency model, with a low-speed engine. The engine of this model runs at a constant ultra-low speed of 2600 RPM to reduce gasoline consumption, resulting in extend times between refueling. The noise levels are also kept low at 58 to 60 decibels, and engine wear reduced to a minimum. Surprisingly, the fuel consumption is only 3.38 kilowatt-hours per gallon which is below our average for a wide range of generators. The EF4500iSE is an outstanding model that deserves a bigger following. The EG or economy series Honda generators are not inferior to the other models. They have larger fuel tanks to extend run times. The EG series incorporate the latest Digital AVR voltage regulation system for precise output control. Digital AVR has better control over the output voltage of the generator by measuring it more accurately. It eliminates spikes in output voltage and maintains the voltage level closer to 120 Volt. These generators use the same quality engines, alternators and materials. The EG models do not have wheels and some models have no electric start. Compared to the EP6500CSX, the EG6500CSX has better fuel consumption and longer runtime. When considering these two brands, you will find a generator that suits your needs. If you combine the generators offered by the two brands, you can select from 34 models. While doing that, you can ignore issues like build-quality, performance, reliability or dealer support. These are known to be good and the warranties are excellent.